Well, our first title, Leave No Child Behind, has been a critical success (check out the reviews on the webpage) and our sales are beginning to build. Word is spreading slowly about Heroic Teacher Press and we are ready to consider possibilities for future titles to publish. If you have a completed fiction manuscript that you think may fit our mission statement, we’d like to hear from you. First, remember that we are dedicated to publishing full length fiction from educators about the world of teachers, teaching and students. Over the next few years, we will be diligently searching for writing which celebrates the heroic acts of teachers, both the commonplace and dramatic. 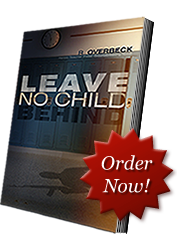 Second, if you haven’t already done so, pick up a copy of our first offering, Leave No Child Behind, which is available in both trade paperback and electronic versions from Amazon, Barnes and Noble, Apple and other bookstores. This will give you a good idea of the quality of writing we are looking for. Third, reply to the email with your name, both snail mail and email addresses as well as a brief (125 words) description of your novel. Send the email to us and we will return your email with a Word document that you can complete and send electronically to us along with a sample of your writing. Complete directions for submissions will accompany in the email. Thanks for your interest in Heroic Teacher Press.